The popularity of streaming continues to grow year after year, providing soccer fans with more choices of how to cut the cord and save money, as well as watching games when you want, where you want and on what devices you want. While illegal streaming sites can infect your computer with viruses, malware and pop-up ads, there are many legal streaming services that offer HD picture quality as well as a ton of options to watch your favorite team, game or league on different devices. Here’s our research on where and how to watch streams of Premier League games. If you live outside the United States, read our VPN page for other legal streaming options. 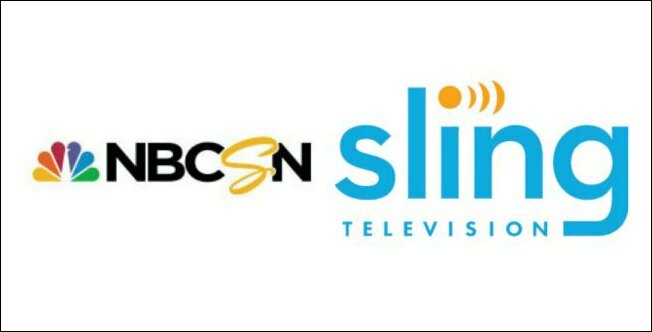 Launched in June 2016, Sling Blue offers NBCSN without requiring a cable or satellite TV subscription. Sling Blue also includes NBC, but live NBC programming is currently only available in 10 markets in the United States (Chicago, Dallas-Fort Worth, Hartford, Conn., Los Angeles, Miami, New York, Philadelphia, San Diego and Washington D.C.). If you live outside those cities, on-demand programming from NBC will be available from Sling Blue at a future date. On a typical Premier League weekend during the upcoming 2016/17 season, which starts on August 13, you’ll be able to watch 7 or 8 EPL games every weekend via Sling Blue. Sling Blue also includes USA Network. The only 2-3 games you’ll miss every weekend are the ones only available via Premier League Extra Time and the NBC Sports App, which Sling Blue doesn’t include. Typically those 2-3 games will feature smaller, less supported teams. Sling Blue is a great way to legally watch the Premier League without paying $100/month for a cable or satellite TV subscription. Sling Blue is $25/month and includes a ton of channels in addition to NBCSN, so there’s plenty of news, entertainment and sports networks to watch when there aren’t Premier League games on. Sling Blue is currently offering a 7-day free trial. You can watch Sling Blue on your computer, smartphone, tablet, Apple TV, Roku, Amazon Fire, Chromecast, Xbox One and other devices. Playstation Vue is simply way better. You get an online DVR and way more channels for the price. Playstation Vue is better. The $29.99 package includes ESPN on PS Vue. Sling Blue, you have to buy the $40/month package to get ESPN. The $45 package on Vue has over 100 channels, including BeIN Sports. Sling Blue, you have to pay $5 extra a month to get BeIN Sports. PS Vue looks promising, but for fans of Premier League clubs it’s more expensive than Sling Blue. PS Vue starts at $29.99/month, but you can get Sling Blue (which includes NBC and NBCSN) for $25/month. Sling Blue is 5 bucks cheaper. However, with PSVUE you can access the NBC Sports Live Extra app with your PSVUE credentials. This allows you to watch all the premier league games that week. To this point Sling TV doesn’t have credentials. So your only able to watch the games on NBCSN. In other words if you want to watch any of the premier league games then the extra 5 dollars is well worth it. No one mentions the data dollars your Wi Fi provider will bill you for. How many gigs does it take to watch an EPL game? i am trying to decide between vue and sling blue. Probably i will buy sling blue. This is just because I don’t have a PS4. You can still watch vue on your mobile device. But from the reviews on the app store, it doesn’t seem to be a good choice. Mobile apps appear to be buggy and subjected to blackout for mobile devices. I only watch live sports so other features are not attractive to me. If you have chance to look at the new sling tv app on apple tv, it looks amazing.